Hey folks! This is my shop for FREE crafting Synthesis. As mods are found, this page will be updated often for available crafting, and craft costs. 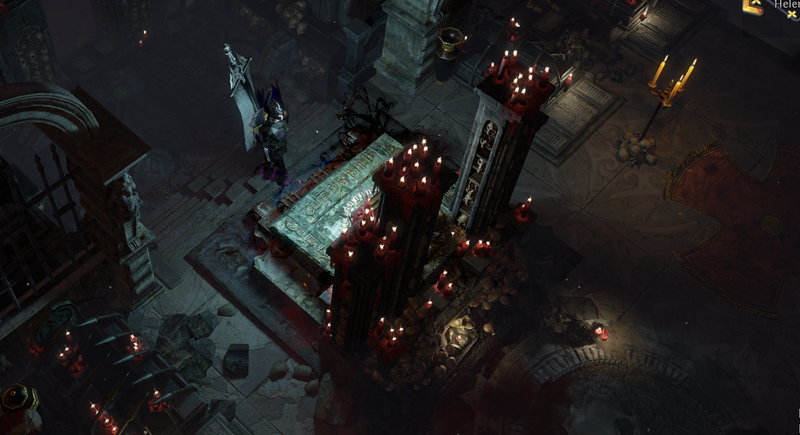 Come use ye unholy crafting altar! Why on Earth do you do this for FREE? Some years ago, I also used to pay for craft fees, because I just wanted to play my build, whatever the cost. I'd grind and farm just to pay for crafts. People forget that this is a video game. It's meant to be played, not monitored like a stock exchange. The fun, largely, has been lost in favor of farming, flipping, and sadly, scamming. Just play the game. I've started this crafting service a few leagues back in the hope of breaking that typical "craft service for fees" monopoly and providing free community service. (really it's free). While I've never said no to a tip, I 'm honored to accept it. I also totally understand if someone cannot afford a tip. IT'S OKAY! Point being, I think having to pay 30+ chaos additionally for a craft (especially early league) is wrong. Play the game and enjoy doing it. About tips by the way. Please, keep your currency. If you do feel like tipping, I'm always in need of sextants and chisels. Crafting this much has left me underleveled. I'd like to try for level 100 this league. If you're tight on sustain, really, don't worry about it. Update 4.2.19: I have a new demanding job, and as such, I am retiring from the league. Thanks to the community for the memories and good times. I hope someone fills my shoes in the meantime. A huge THANK YOU to those who have continually contributed veiled mods to the thread. They are immortalized below. Generous Veiled mod Doners for those who care. THANK YOU! Special thanks for those allowing unveil of Cinderswallow! About tips by the way, keep your chaos. Really. If you feel obliged to help, I could always use red maps. Thanks again. Whisper me in-game if you need something. Crafted me the % Chaos dmg. Fast and nice guy. +1 vouch from me, quick and easy transaction. Crafted Area damage on necklace and %increased damage on ring.